A serious accident has occurred today at the Cement Factory in Elbasan, where two workers are covered by cement massive, one of whom died. Oculus News sources suggest that one of the persons was seriously injured, while the other was blocked by cement, and was pulled out in about an hour after. Official sources from the police claimed that the citizen Musa Sulaj, 56, resident in Ulem village, has died, while the citizen Tomorr Mjekerzaku, 65, resident in Qemal Stafa neighborhood, was seriously injured. Currently there are numerous police forces in the scene, while other details are expected to emerge from the event. 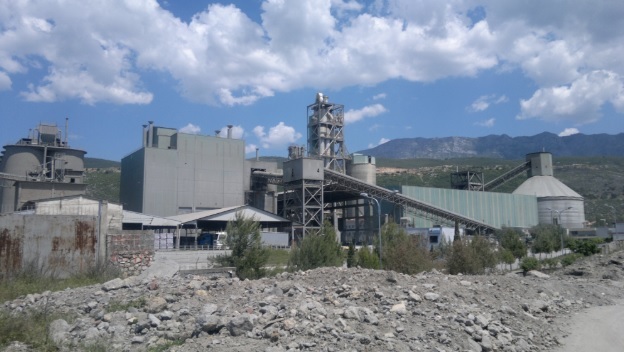 During works at the cement factory in Elbasan, two citizens were injured, while the citizen M.S., 56, resident in Ulem village, has died, while is in serious conditions the citizen T.M., 65. The investigative team is on the scene and is working to clarify the circumstances of the event.